Motivate your team, inspire your business partners and look forward to a successful future with higher customer satisfaction. We can help you implement this in a new and fresh way. We organize professional adventure travel tours, team activities and events of all kinds. 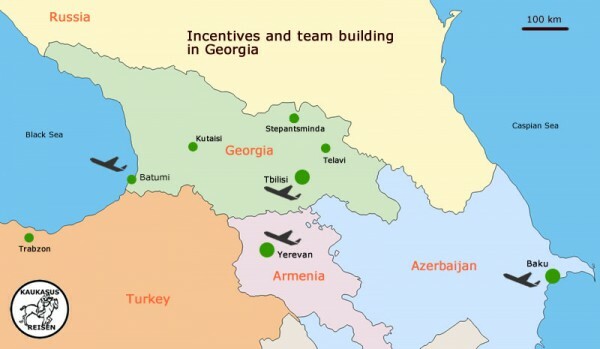 Georgia is still considered a secret tip as a destination, especially for implementing incentives. This is your advantage! Invite your customers, employees and partners to this stunning area and we can ensure you that they will not forget this journey easily. This can be the basis for a long-term commitment. 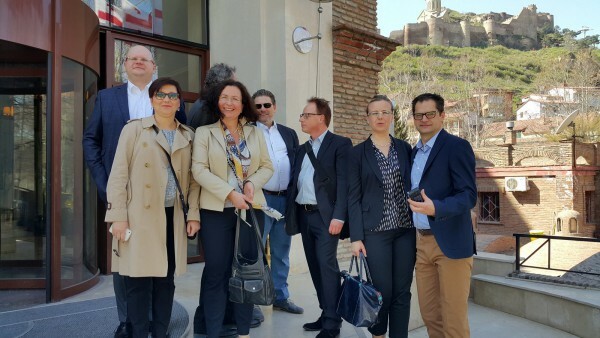 Imagine, you don’t meet your customers and partners as usual for consultations and negotiations in your conference room or office but instead in an unusual and relaxing atmosphere while you prepare traditional Georgian dishes together or walk through the stunning landscapes of the Caucasus. You will certainly be able to communicate here on another, completely new level. Or do you have highly motivated and talented employees and are now considering how to keep this talent in your company? Create incentives and ensure that the motivation is rewarded, perhaps with an exciting jeep tour through Georgia? The possibilities for the implementation of incentives are versatile and virtually inexhaustible in the Caucasus region. In addition, we offer you first-class accommodations and services that rival the European standard in anything. The modern infrastructure of Georgia provides an interesting contrast to the wonderful original nature of the country. An optimal combination for your incentive trip. Just contact us and tell us your individual goals and fields of interest to be able to create a tailor-made program for you.